The Scheme aims to support farmers experiencing short-term financial pressure due to price and income volatility. The loans will enable farmers to plan and budget more effectively by providing an attractive cash flow support loan product as an alternative to more expensive forms of credit such as merchant credit and bank overdraft facilities. The following product features are available through AIB, Bank of Ireland and Ulster Bank with SBCI’s support, subject to the financial institutions’ own credit policies and procedures. Loans for the purchase of breeding stock are excluded. in the dairy and other livestock sectors under Commission Delegated Regulation (EU) 2016/1613 of 8 September 2016 providing for exceptional adjustment aid to milk producers and farmers in other livestock sectors. outside of the dairy and other livestock sectors under de minimis state aid regulations (Commission Regulation (EU) 1408/2013of 18 December 2013). Under this regulation farmers are subject to a de minimis state aid limit of €15,000 per undertaking which includes other de minimis aid incurred by the SME in the last 3 financial years. If a farmer has incurred state aid during the period he/she may not be able to avail of the full €150,000 loan but may be able to avail of the scheme at lower loan levels. See the State Aid Matrix on our Regulations page to assess what state aid may arise.  This financing is provided by the SBCI with the support by the COSME Counter-Guarantee to the SBCI provided through the European Investment Fund (EIF) using support from the European Fund for Strategic Investment (“EFSI”) set up under the Investment Plan for Europe. The purpose of EFSI is to help support financing and implementing productive investments in the European Union and to ensure increased access to financing. The Scheme will operate from January 2017 to the 30th of September 2017.